This slide-book series presents, discusses, and shows how to understand, develop, and use semiconductor devices to design analog integrated circuits (ICs). The underlying objective is to explain and illustrate how to model, analyze, and design analog ICs using bipolar and MOS technologies. 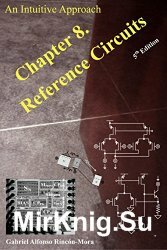 The material places emphasis on basic understanding and critical thinking, in other words, on intuitive grasp of how semiconductor devices work individually and collectively in microelectronic circuits. Ultimately, the material seeks to furnish the reader with a physical and intuitive view of solid-state circuits that transcends rigorous mathematical and algebraic formulations to empower the reader with the tools necessary to design innovative and complex ICs. 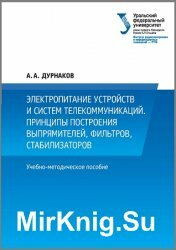 Автор: Большов В., Гукин В.
Советская школа теоретической радиотехники и радиофизики, созданная академиками М.В. 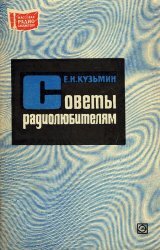 Шулейкиным, Л.И. Мандельштамом, Н.Д. Папалекси, А.И. Бергом и другими выдающимися учеными, постоянно опережала работы иностранных ученых и воспитала десятки и сотни молодых талантливых ученых, обогативших науку ценными открытиями и изобретениями. Важнейшие работы по теории радиоприема осуществили советские ученые В.И. Сифоров, А.Н. Щукин и другие. 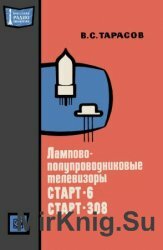 Название: Лампово - полупроводниковые телевизоры «Старт-6», «Старт-308». 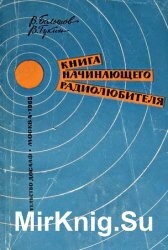 Массовая радиобиблиотека. Выпуск 816. 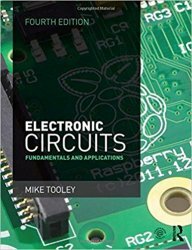 Mike Tooley provides all the information required to get to grips with the fundamentals of electronics, detailing the underpinning knowledge necessary to appreciate the operation of a wide range of electronic circuits, including amplifiers, logic circuits, power supplies and oscillators. The fourth edition now offers an even more extensive range of topics, with extended coverage of practical areas such as Raspberry Pi. World's first book that is not meant for only reading. You can actually try these project using Proteus simulation software and learn more. This book comes with Proteus simulation files which are provided on download link which is mentioned in this book, You can try all possible things with this great project book and make new inventions and explore your creativity. 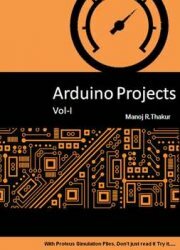 After the huge success of Measurement Made simple with arduino book this book came to realities. 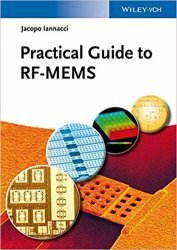 The book covers, from a practical viewpoint, the most critical steps that have to be taken in order to develop novel RF-MEMS device concepts. Prototypical RF-MEMS devices, both including lumped components and complex networks, are presented at the beginning of the book as reference examples, and these are then discussed from different perspectives with regard to design, simulation, packaging, testing, and post-fabrication modeling. Theoretical concepts are introduced when necessary to complement the practical hints given for all RF-MEMS development stages. 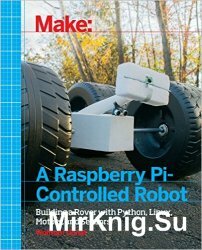 Make a Raspberry-Pi Controlled Robot teaches you how to build a capable and upgradeable personal robot for around $100. You'll learn how to control servos, respond to sensor input, and know where your bot is using GPS. You'll also learn many ways to connect to your robot and send it instructions, from an SSH connection to sending text messages from your phone. Автор: Ломанович В.А., Соболевский А.Г. 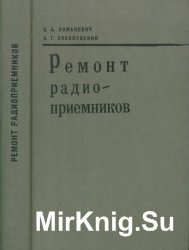 Книга посвящена ремонту бытовых радиоприемников. Изложены принципы супергетеродинного приема и назначение отдельных узлов современных радиовещательных приемников. Приведена методика отыскания неисправностей и освещены вопросы настройки и регулировки различных блоков. В данном учебно-методическом пособии рассматриваются вопросы построения и принципы работы выпрямительных устройств, пассивных и активных сглаживающих фильтров, параметрических стабилизаторов постоянного напряжения и компенсационных стабилизаторов непрерывного действия. Развитие микроэлектроники оказало значительное влияние на источники электропитания. Приведены описание схем экспериментальных исследований, практические задания, методика обработки результатов эксперимента.